Baby is as sweet as they come! She is great with other dogs, and great with people, and kids too! 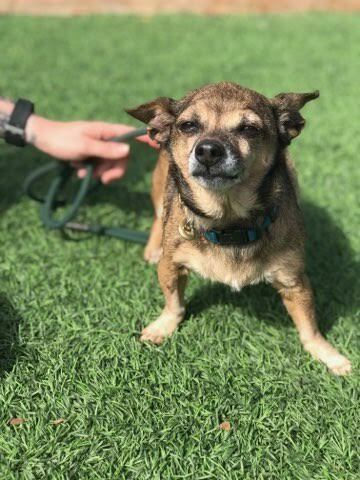 This sweet little angel is in need of a medical hospice foster. She has heart disease and is not too long for this world. She needs a comfortabe, safe home to live out her final days with a family that loves her so that it doesn’t have to be alone in the shelter! If you’re interested in fostering give DAWG a call at 805-681-0561. Interested in Baby? Complete the application and someone from DAWG will contact you with more information.